Recent media coverage of fire protection in Australia has been dominated by discussion of products that don’t conform to building codes and standards. The recent Fire Australia Conference, the Australian fire protection industry’s annual opportunity to gather and discuss the important issues of the day, brought together national and global leaders. A national approach to an issue, especially when dealing with safety, is an ideal outcome. It avoids confusion, improves effectiveness and provides certainty no matter where you are. When MP Victor Dominello, Minister for Innovation and Better Regulation, tabled the NSW Government’s response to the Independent Review of the Building Professionals Act 2005 (the Lambert report) in Parliament last month, he was laying down plans for the largest shake up of building controls in the state’s history and establishing an important new benchmark for regulators in other states and territories to work toward. Performance-based building codes are dedicated to allowing industry to tailor design solutions to achieve requirements and boost productivity. 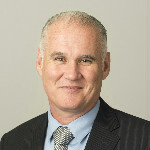 Scott is the Chief Executive Officer of FPA Australia and has a managerial / executive background in the Technology, Marine / Shipping and Service industry. Scott is integrated across the Fire Protection industry sitting on various boards, working groups and committees.